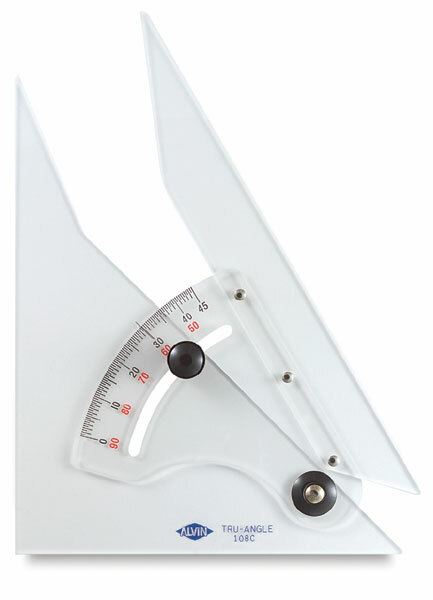 This triangle is made of heavy, clear acrylic plastic. It's accurately divided from 0° to 90° in half-degrees. The locking screw adjusts to hold any angle desired. Available in 8" (20 cm) or 10" (25 cm) triangle.